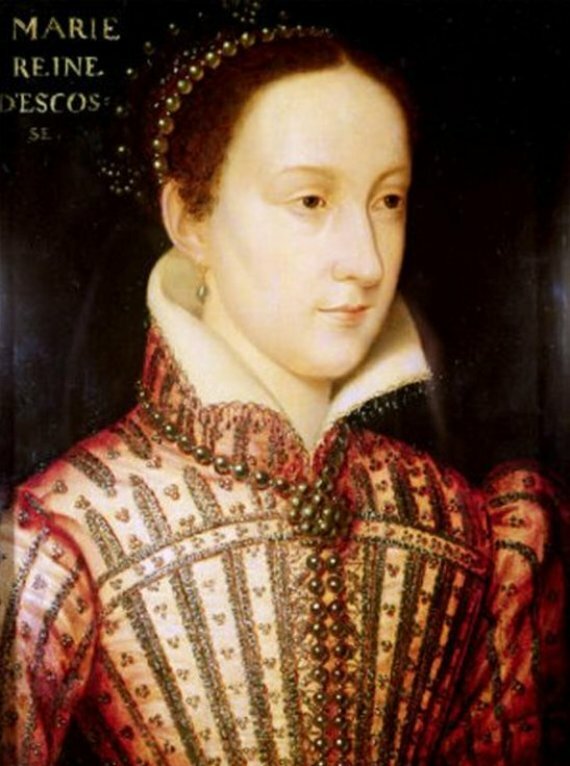 The queen of Scotland from 1542 until 1567, Mary was born on December 8, 1542, at Linlithgow Palace, Scotland, the only child of King James V of Scotland, who died six days after she was born. When Mary was five, her French mother, Mary of Guise, sent her to the French court, where she lived for many years. Being extremely attractive, she caught the eye of Francis, the eldest son of King Henry II of France. They were married, and when Henry died in 1559, Mary became the queen consort of France. In 1558, following the accession of Elizabeth Tudor, as Mary’s grandmother was a sister of Henry VIII, the father of Elizabeth, Mary became the heir to the English throne. However, some English Roman Catholics felt that Elizabeth was illegitimate, as they regarded Henry VIII’s divorce from his first wife, Catherine of Aragon, as invalid, as was his subsequent marriage to Anne Boleyn, Elizabeth’s mother. Thus, Mary was queen of Scotland and the queen consort of France and had a disputed claim to the throne of England. After Mary’s first husband, Francis, died, and she became isolated at the French court, Mary decided to return to Scotland. There she had great difficulty in trying to reconcile the various court factions. Her illegitimate brother, James, earl of Moray, tried to help, and Mary, a Roman Catholic in a country that had been officially proclaimed a Protestant nation during her absence in France, initially embarked on a policy of religious tolerance. In July 1565, Mary married Henry Stewart, earl of Darnley, a cousin. He was handsome, had his own claim to the throne of England, but was foolish and quickly alienated many at the Scottish court by his irresponsible and wanton behavior. In March 1566, Darnley, jealous at Mary’s reliance on advice from her secretary, David Rizzio, stormed into the royal apartments and with others stabbed Rizzio in front of the queen. Three months later the son of Mary and Lord Darnley, James, was born. However, Mary hated Darnley for what he had done to Rizzio and may have started having an affair with James Hepburn, fourth earl of Bothwell. She certainly came to trust Bothwell. It was not long afterward that Lord Darnley was killed while recovering from an illness; his house was blown up and his strangled body was later found in the garden. Soon afterward, Mary married Bothwell, but this started a major Scottish rebellion against the pair. Mary was formally deposed as queen, with her infant son proclaimed king. She fled to England; Both-well went overseas. Over the next 18 years, she was held in custody in England. Some English Catholics started conspiring with her, and in 1586 she was found to have been involved in a rebellion against Queen Elizabeth. Tried by an English court, she was sentenced to death and was executed on February 8, 1587, at Fotheringhay Castle.